There’s holiday gift guide for her, holiday gift guide for him, holiday gift guide for the hostess, pretty much there’s a holiday gift guide for almost anything. You know what’s missing? A holiday gift guide for your coupled friends. I don’t know about you, but personally not only am I engaged, but I have friends & family that are also engaged. I teamed up with Turoto share with you a Honeymoon Care Package. 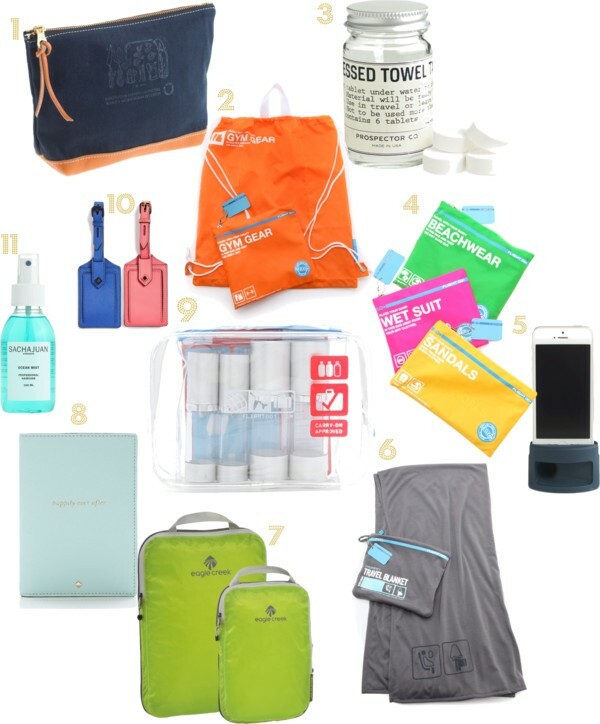 Nothing screams perfect gift for your engaged/newlywed friends like some travel essentials for their honeymoon. There are so many great items out there that can make traveling a bit easier. Unfortunately, it is never on the top of anyone’s list to get these gadgets for themselves. I don’t know about you, but I love to give gifts that I know people like & need but will never make an effort to get for themselves. For instance, this Eagle Creek Packing Cube is one of my favorite traveling essentials. It compresses and organizes my clothes and toiletries that are in my luggage to save some room. Or what about the Go Clean Beach Set?! There’s a pouch for wet suit, dusty sandals, and lunch bag. Genius! J. Crew carries these compressed towels that are perfect for bringing towels everywhere you go without taking up space. And how adorable is this Kate Spade passport holder? It even says ‘Happily Ever After’! So cute! Great guide! I love all of the gift guides people are making! It is making my Christmas shopping so easy! Thanks Melanie! So glad I can help! Great post! I recently featured the Flight 001 on my blog as well- great minds think alike 😉 Love your page! Thanks Liz! That's so awesome! They have so many great innovative things! such a good idea, love these items! Thanks Alice 🙂 Thanks for stopping by! Such a good and nice gift guide! I've almost bought those Kate Spade tag holders like 8 times because they're so dang cute. I guess it's a sign! Thanks Vanessa 🙂 Thanks for stopping by! Love this black and white look! These boots are so cute and the clutch reminds me of Clare Vivier one! Very chic outfit! Hope you are having a wonderful day! Thanks Jyoti! I got this clutch because the Clare Vivier was sold out! The quality is just as good!